They’ve been described as “floating cities,” boasting as they do extravagant on-board features such as ice rinks, water parks, poolside movie screens and extravagant casino halls. Cruise ships have come a long way since the Augusta Victoria sailed the Mediterranean and Near East with 241 passengers in 1891, and the industry has now exploded. Since 2001, at least nine new cruise ships have taken to the seas each year, and it’s a competitive market, with the various craft jostling to set records and offer state-of-the-art attractions. 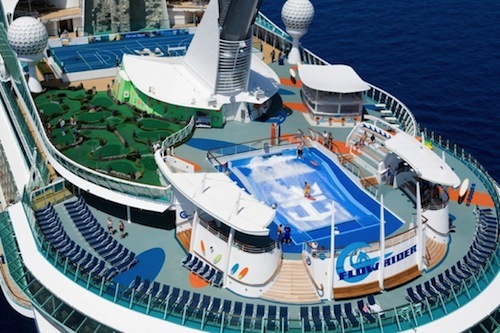 Here’s a look at ten of the most awesome cruise ships ever created.